I’m Not A Hater. I’m Just Keeping It Real! I just want to warn all those that are hating on keeping it real about HCBS what could happen. 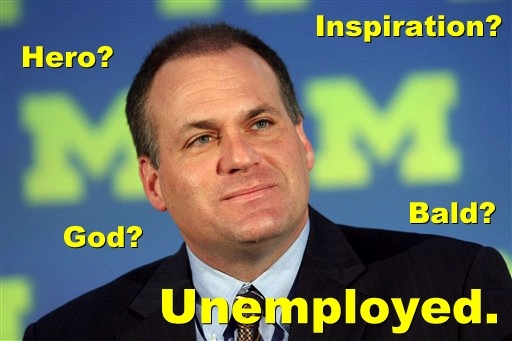 OK, so let’s say you’re a hypothetical college football coach at a very high-profile, prestigious program. You were lured away from your alma mater just last year, paying millions of dollars in buyout money. On your way out, you complained that the alma mater and its fans — people that attended games and donated in record numbers, mind you — didn’t show you the type of love that you felt you deserved. Then, at your new school, you possess an abysmal 2-8 record in your opening campaign. Not only are fans angry at you, but boosters have become incresingly critical of your stubborn and unrelenting demeanor. ANN ARBOR — In a historic move for a country with a once-checkered racial past, Illinois Senator Barack Obama, an African-American, was last night elected President of the United States. 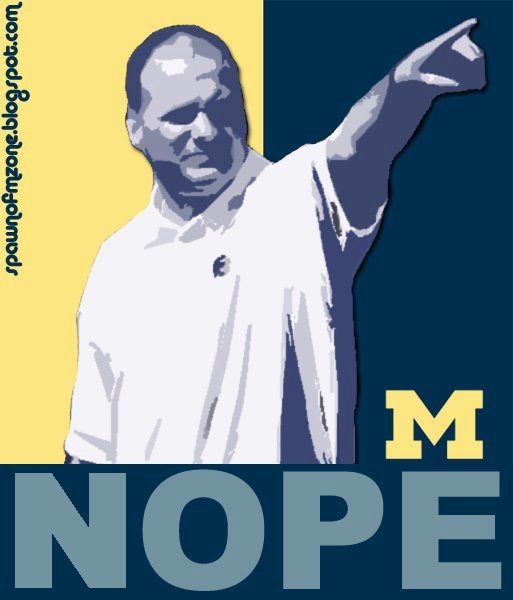 Today, in that same vein, the University of Michigan has made a similar bold move: making Rich Rodriguez the first Hispanic ex-coach in Wolverine history. 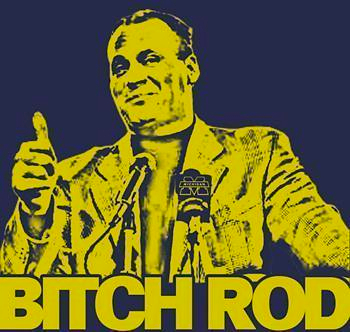 As we all probably know by now, Lou Holtz — the Patrick Henry of gameday shows — referenced Adolf Hitler when talking about Rich Rodriguez’s leadership skills. I wish I could tell you more than that, but unfortunately, the comment made absolutely no sense in context. Even so, we at WBGV believe that Holtz was on to something — he just needed us to take it a step further. So we are. Right…..now. Damn bro, that was quick. With the ink on Tommy Bowden’s dismissal not even dry, “The Product’s” agent (Mike Brown, seen here) has contacted Clemson to show interest in the job. I knew Fraud would look to move on to greener pastures but this was so fast and slutty even a sorority girl would be proud.